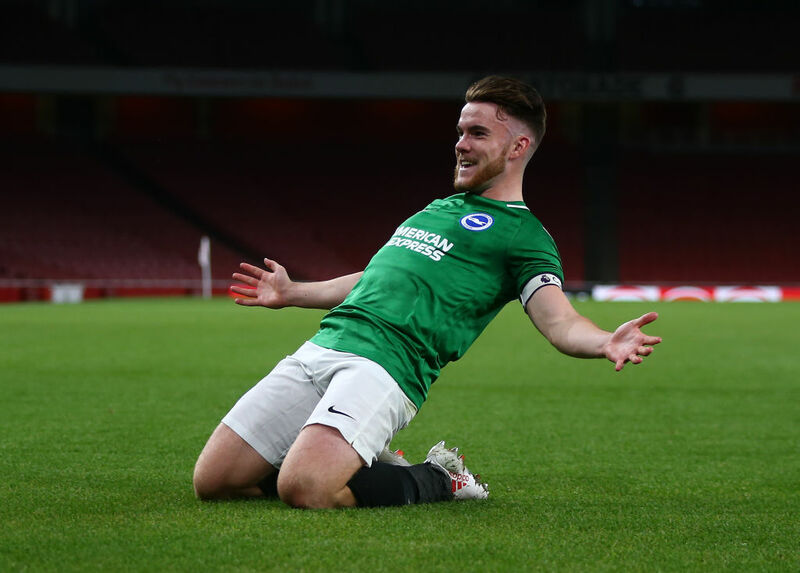 Brighton and Irish U19s striker Aaron Connolly has been named the Premier League 2 player of the month for November after impressing hugely for the Seagulls U23s side. Connolly has been in tremendous form for Brighton’s underage side already scoring 17 times this season as he continues to grab the attention of many in the league. The 18-year-old had previously been nominated for both the August and September editions of the award but has come out victorious after a red-hot November. Connolly netted six times in three appearances for Brighton’s U23s last month, including a hat-trick in a Checkatrade Trophy win over MK Dons. The Galway native has also been linked with a move to Hoffenheim in the German Bundesliga as he looks to become a more frequent figure in the Brighton first team under fellow Irish man Chris Hughton. Speaking to Pundit Arena last month, Connolly outlined that he feels as though his wealth of experience at U23 level means that he is now ready to make the step up to first-team football. Connolly has also been a figure in the Irish underage setups, impressing for the U17s in their successful run to the quarter-finals of the European Championships and notching up seven goals to become the top scorer in qualifying. “It’s probably the best year I’ve had football wise that year with the Irish U17s. We didn’t lose until the Euros, we were just so good. “I was the top goalscorer in the qualifying campaign but obviously got to the tournament then and didn’t score so that was disappointing.